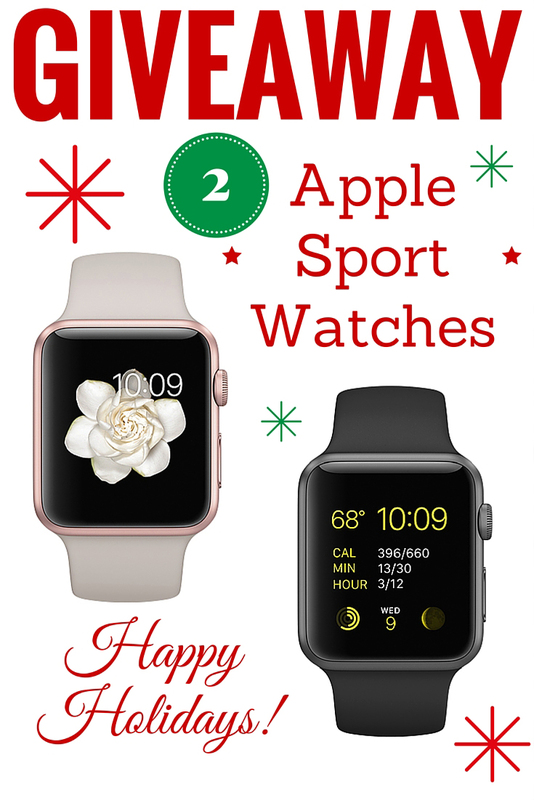 To celebrate the holidays, we are giving away two Apple Sport Watches! Two lucky Plain Chicken readers will win one Apple Sport Watch of their choice. The giveaway ends on December 16, 2015 @ 11:59PM CST. Two winners will be selected. Each winner will receive one Apple Sport Watch ($399). The winners will be contacted by email and have 48 hours to respond. If the winner does not respond within 48 hours, a new winner will be selected. What a wonderful giveaway. I would love to have this for my husband. Trying to win this for my hubby! I followed you on Instagram but it won't give me that entry. Thanks for the chance to win!! Yay!! I'll watch for the watch winners. Hope one of them is me! What an awesome give away. I would love to win this for my son. He would think that I'm the coolest mom in the world! Thanks for the chance to win a piece of the furture. What an awesome giveaway! I would love to win this for my husband. He wants one a lot. Love this giveaway. My fingers are crossed. Thank you for the chance to win, Merry Christmas!